It is so difficult for me to believe that in less than a month, I will be saying goodbye to my sweet kiddos for the summer! 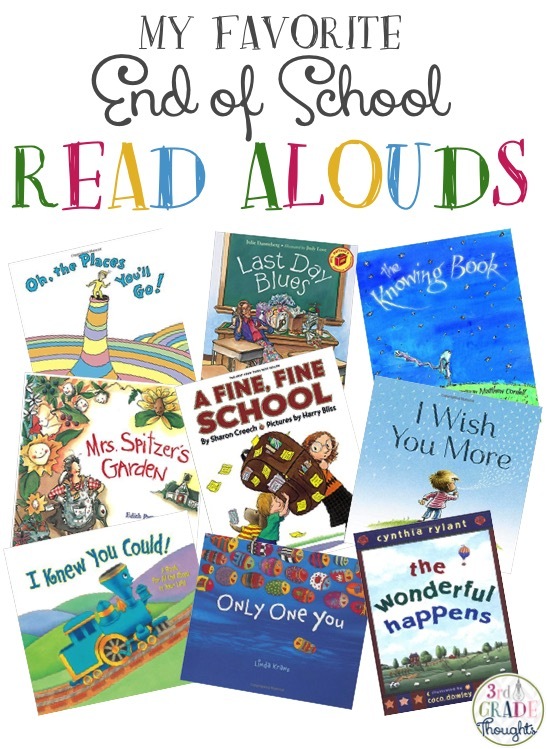 While we seem to be running at 100mph towards the last day of school, I thought it would be important to highlight some great read alouds for this time of year, both the funny and meaningful, all encouraging and uplifting. Of course there is the standby, Oh, The Places You'll Go, but I've included some similar titles as well, like I Knew You Could and The Knowing Book. Besides having a wonderful message, Only One You is a great lead-in activity to an end-of-year art project to decorate rocks as unique fish. In fact, this can really be used any time of year, even back to school! Mrs. Spitzer's Garden is a tear-jerker for any teacher, but to offset that, be sure to read First Day Jitters' counterpart, Last Day Blues. A Fine, Fine School (by one of my most favorite authors, Sharon Creech) is also a wonderful tale about too much of a good thing. Be sure to take a peek at my store for Summertime Word Work, Writing Prompts and Math QR activities as well. 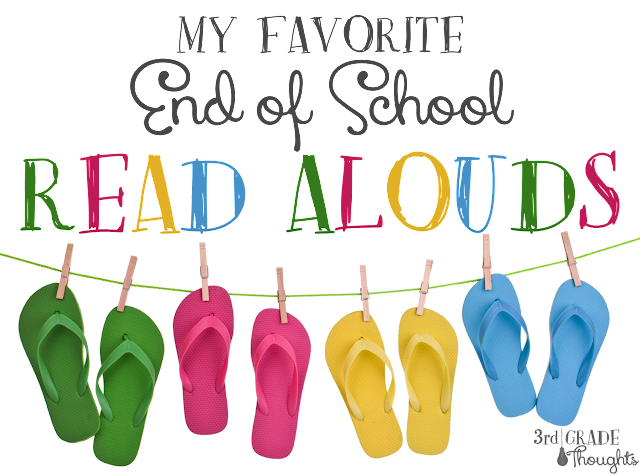 I hope this list gives you lots of ideas for read alouds for this end of school season. I love your products and your blog! Keep it up!! Thanks for sharing! I have Oh The Places You'll go...and found Last Day Blues on EPIC!